I played Resident Evil: Revelations on the 3DS last year and absolutely loved it. Putting my fan bitterness aside (for the arguably more action oriented approach it has taken), I praised it for being a successful marriage of both the old style of Resident Evil and the new style of Resident Evil. I loved it so much that I even gave it five stars – it’s not perfect, no, but it’s pretty damn excellent. In a rather admirable gesture, when Capcom announced they were re-releasing Revelations for the high definition consoles, they also threw the Wii U a much needed bone and updated the game to provide a Wii U iteration too. 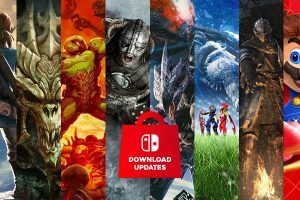 Despite this act of generosity, the question still remains – is the Wii U port of Revelations worth your money? Is it worth a second dip? Hopefully these questions and more will be answered sufficiently by the end of this review. For those not in the know, Resident Evil: Revelations takes place between Resident Evil 4 and Resident Evil 5, and follows series regulars Jill Valentine and Chris Redfield. Jill has travelled to the Queen Zenobia, a cruise liner, in search of Chris who was last reported to be there investigating leads on Il Veltro, a terrorist organisation. Il Veltro has developed a new virus, the t-Abyss virus, and has used it to threaten the passengers on the Queen Zenobia, previously having gained notoriety for destroying Terragrigia, a man-made futuristic city. The story, like any Resident Evil story, shouldn’t be taken too seriously as many of the twists and turns are kind of telegraphed as the plot goes on. 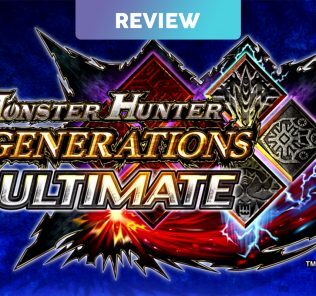 As I said in my review for the 3DS version – the story is good, but only by a Resident Evil standard – so take that as you will. Resident Evil: Revelations plays like a standard Resident Evil game though much like the 3DS iteration and the recently released 6, most of the subtle improvements to the game’s mechanics remain intact. 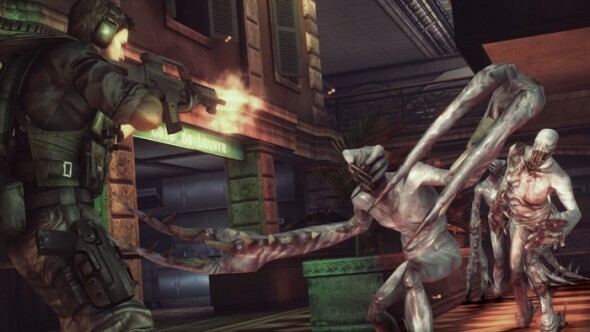 That is, players can still walk and run while aiming and reloading while still providing a suitable level of tension as previous games in the franchise. 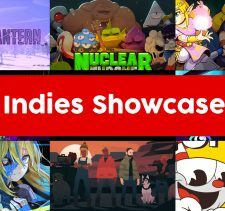 There are puzzles peppered throughout the journey, but unfortunately they are rather simplistic and are not particularly reminiscent of the classic puzzles in the older games. Finally, the game also sees the team exploring underwater locations – and thankfully the swimming controls are more than serviceable here too. The only real issue that the Wii U version has with controls is that the dead zone is improperly set – the aiming is not as responsive as it should be. This is mitigated by settings that can be adjusted, but for some this still may not provide an adequate solution. 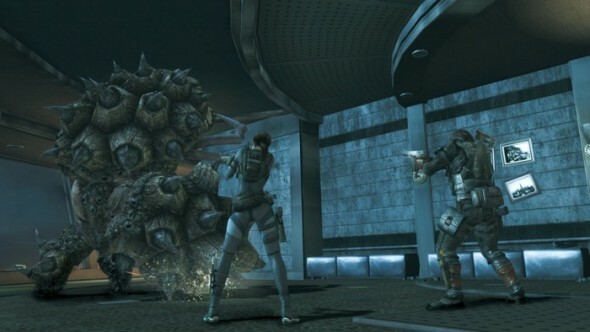 Originally being a handheld game, Resident Evil: Revelations is structured in an episodic format. Spanning several different time periods across a few different characters – each episode begins with a “Previously” segment catching the player up to speed on events previously transpired as well as ending with a usual twist of cliff hanger. Most of these are well orchestrated and keep the player wanting to play on, while also helping the game keep a better pace. For example, Jill’s segments allow her to explore a large environment in the cruise liner (similar to the Mansion or City from RE1 and RE2) while the other characters explore other locations while fleshing out the backstory. It’s well constructed and keeps a good balance between action, tension and horror while also laying on a thick layer of atmosphere too. 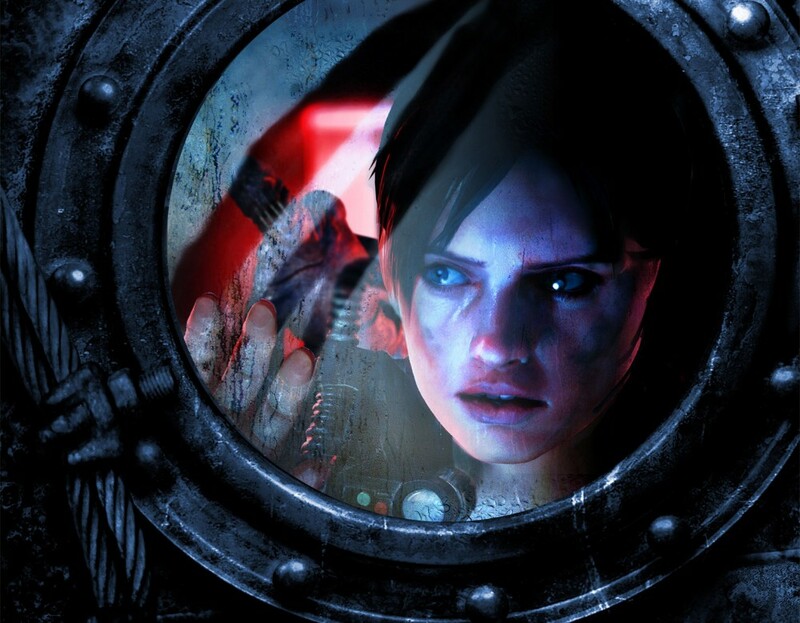 Despite originally being part of the Survival Horror genre, there is less of a survival aspect in Resident Evil Revelations than in previous games, especially with how the game handles items and inventory. Characters can carry up to three weapons which can be customised to offer better stopping power, quicker firing rates and other buffs to help players survive. Those who really want to play up to the survival aspect of the game can utilise the Genesis Scanner – a new item allowing players to scan the areas of the game for lost items (think of it as a Metroid Prime kind of system) where items can be “uncovered” just be scanning the environment. Additionally, scanning enemies can fill a percentage meter to reward the player with a healing item. This creates a bit of a dichotomy in players – do you take the risk to scan your enemy to be granted a health boost or do you just try to risk it and confront them without healing? Most of this decision making underpins Resident Evil Revelations. It’s a great feeling to have to strategise and prioritise your actions and weigh up your options, and something that has been absent from quite a few horror games for some time. The Wii U version also boasts some extra features. All versions feature a new enemy type (though one that barely changes anything, admittedly) while also featuring updates and additions to the game’s Raid Mode, which I’ll touch on a bit later. As you would expect, all of the maps and inventory are handled on the GamePad and off-screen play is supported too. 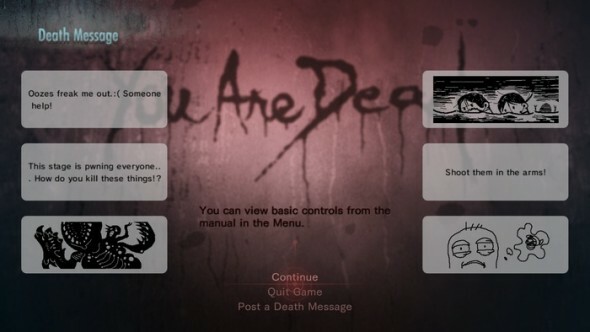 The most interesting inclusion with the Wii U version specifically is the way it utilises Miiverse – players can leave messages upon their death to appear in game at that point when other people die. It does a good job at lightening the mood during an annoying or frustrating death. Additionally, during Raid Mode, players can also upload messages for creatures to yell out during combat to give the game a dynamic and always alive feel. It sounds minor, but it makes the game feel like its constantly alive and that people are constantly interacting with it to offer you a fresh experience. So it would make sense to discuss what Raid Mode is now – in short, it’s Revelations own unique multiplayer mode. Levels must be unlocked by progressing through the main story and is playable either Solo or Online. Raid Mode allows players to team up and approach the “best bits” of each of the campaign levels to complete objectives co-operatively. It’s basically an action oriented co-operative mode created separately so as not to impede on the atmosphere of the campaign (like other Resident Evil games have previously been criticised for). Constant playing unlocks weapons and perks to bolster attacks as you approach greater difficulty missions – with life bars and damage indicators appearing to give Raid Mode a more RPG like feel and sense of progression. Not only does the mode encourage players to co-operate, but the unlocking of equipment and characters makes it incredibly addictive too. Thankfully, the Wii U version performs rather well online too, with minimal lag. Between the three difficulty levels for Raid Mode, the hundreds of combinations of weapons and upgrades and the rather lengthy campaign, there’s quite a lot to do in Resident Evil: Revelations. The main campaign clocks in at around eight to nine hours, though it can take anywhere up to ten or eleven hours to complete for some players without direction. It feels like the right length – it never overstays its welcome. Taking Raid Mode into consideration, Revelations is a package that could easily last its players upward of twenty hours plus more. This feels as substantial as a mainline Resident Evil game and that’s a great thing. Players who want a true challenge can even take a shot at “Hell” mode, which ups the difficulty level considerably too. It comes as no surprise to me that Revelations scales up well to the high definition resolutions either – as it was originally built on Capcom’s proprietary MT Framework engine. The visuals aren’t as stunning as they are when first presented on the 3DS, though they do a good enough job at living up to the standard pioneered by games like Resident Evil 6 and Resident Evil 5 even. It’s still an atmospheric delight to walk through an area of the ship and see lights flickering, lightning strikes and surfaces glistening with ooze and moisture rather realistically. It’s admittedly not as crisp or as clear as other games available on other consoles but it might be one of the best looking games on the Wii U. The only thing worth mentioning with regards to the visuals is that there is some very frequent stuttering going on in the game – opening doors commonly saw quite a bit of stuttering. This happens in other versions too, but it feels like it happens more so on the Wii U. Thankfully it never really happens in more intense action sequences, but it can be atmosphere breaking while exploring the environments. Character designs and enemy designs are great too, though some of the costumes are rather questionable with regards to practicality. The game features a fully orchestrated soundtrack just like Resident Evil 5 and Resident Evil 6 with some absolutely epic and sweeping pieces. 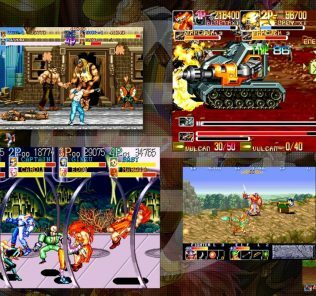 The music fits in to the game’s higher budget feel, adding to the atmosphere in both the tense moments where you’re assaulting the enemy or running away. The voice work is still on the cheesy side, with Jill’s new voice work being rather bland and the dialogue from newcomer Jessica being downright embarrassing. Still, barring the voice work, the game’s audio offerings are something quite special with the soundtrack holding its own against other games. Resident Evil Revelations is a game that manages to properly bridge the gap between the new style of action oriented Resident Evil and the old style of a tense and more atmospheric oriented Resident Evil. 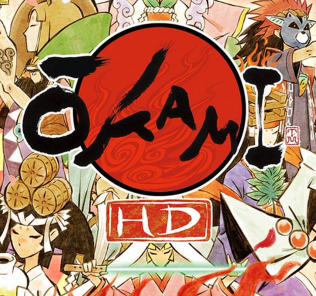 The game itself remains unchanged with the high definition rendition, albeit with a few technical problems preventing it from reaching full parity with its handheld progenitor. Despite this, the game is packed to the brim with the same content as the handheld release plus more and I find it hard to mark the game down for such minor problems with the game – at its fundamental core it still works very well. And at such a cheap price, I think you’d be crazy to pass this one up. Is it worth the double dip, however? It’s hard to say – the game is largely the same, but I would wager it would be just as enjoyable if not more with a friend if you wanted to approach Raid Mode together. If not, then it might be safe to give this one a miss for now if you’ve already experienced it. If you haven’t, then it’s definitely worth both a look and your time. You think I’d have to be crazy to pass this up? Sorry but without Wiimote aiming, that’s exactly what I’m going to do. If this game were developed from the ground up for pointer controls, I would agree with you wholeheartedly. But truth of the matter is, they fundamentally broke Resident Evil 4 and made it way too easy. Revelations, to me at least, is a similar situation. Games that aren’t designed for pointer controls that suddenly have it thrown in are made too easy. But of course, that’s my thoughts on the matter. But then from my point of view Revelations as it is now is unplayable, because I HATE dual analogue for shooters. Whereas I, and a lot of people I know, loved RE4 on Wii exactly as it was. If Capcom forced pointer controls on WiiU owners, I would be on your side when you complained, 100%. What I’m saying is, why can’t Capcom give consumers the choice? Why can’t they let us play how we want to? Then if you think pointer controls ruin the game, just don’t use them! If they did give us the choice, everyone wins!